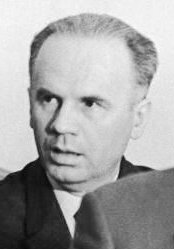 It is 50 years today since Soviet military intelligence officer Oleg Penkovsky was executed for spying for the Americans. Penkovsky, whose father died fighting for the anti-communist Whites during the Russian Civil War, lived up to his western handlers’ HERO codename by tipping the Soviets’ operational plans for missile deployment in Cuba — helping precipitate the Cuban Missile Crisis. This speech inaugurated some of the darkest days of the Cold War … but they were probably even worse for Oleg Penkovsky, who was arrested just hours before Kennedy delivered it. He might have been shopped by a U.S. intelligence mole working for Moscow. The late spy’s journal was published in 1965 as The Penkovsky Papers. A variety of documents from Penkovsky’s CIA case file are available on the spy agency’s own site.